Santas Belt Adjustable Ribbon Nylon Collar – Cane and Co.
Have your pups looking great in this beautiful, high quality ribbon overlay collar with an beautiful pattern. The ribbon is on a durable nylon base with tight stitching. This collar is available in a variety of sizes and made with a sturdy black quick release buckle and D-Ring for tags or leash attachment for the dogs. 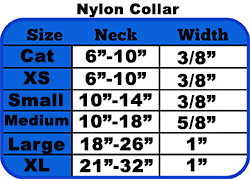 These collars also look great with the matching leash that is also available in various sizes.